One-Step Mousse Mix "Neutral / Vanilla", allows you to prepare a wide variety of delicious mousses quickly and easily using this convenient base powder. 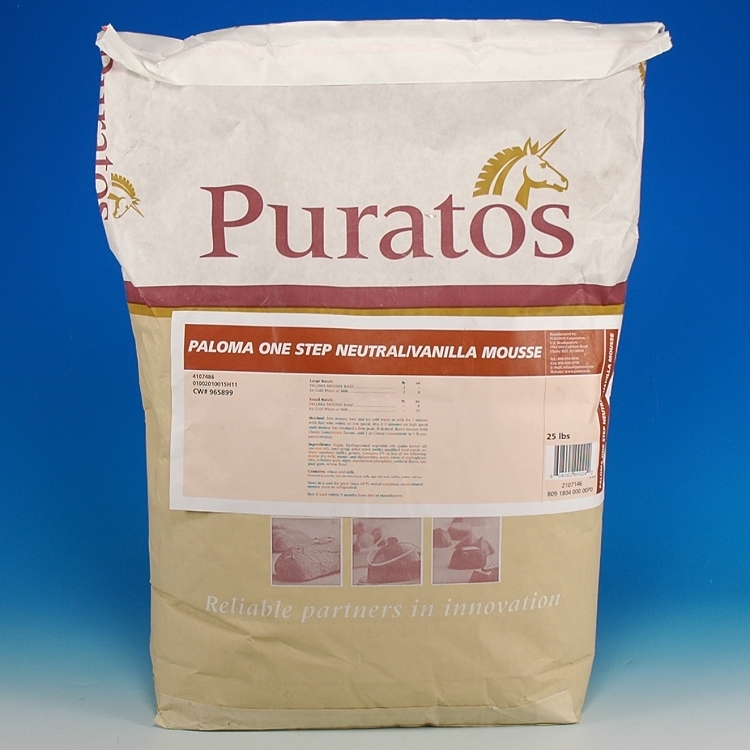 Puratos Mousse Mixes provide you all of the convenience and quality your bakery needs. This easy to use, complete neutral/vanilla mousse mix for the creation of premium desserts. 1) Mix mousse base and ice cold water or milk for 1 minute with a fine wire whisk on low speed. 2) Mix 2-3 minutes on high speed until mousse has obtained a firm peak. 3) If desired, flavor mousse with concentrated flavoring paste. Add 1 ounce Flavoring Paste to 1 pound of prepared mousse.